Welcome to Share Your Creations party #53! 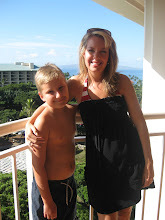 I hope you will link up and join in the fun! I'm seeing lots of great fall and Halloween inspiration out there. Keep it coming! 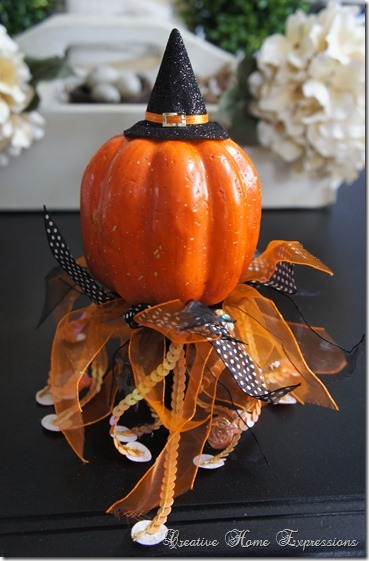 Kathy at Creative Home Expressions made this cute little pumpkin on a candlestick after seeing something similar at Hobby Lobby for $21.99. Click here for the tutorial. Gail at Purple Hues And Me decorated the top of this pumpkin with glitter and beads. 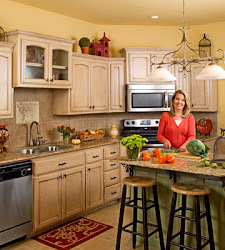 She was inspired by one she saw at Pier 1 Imports. Pretty! She also has a tutorial. 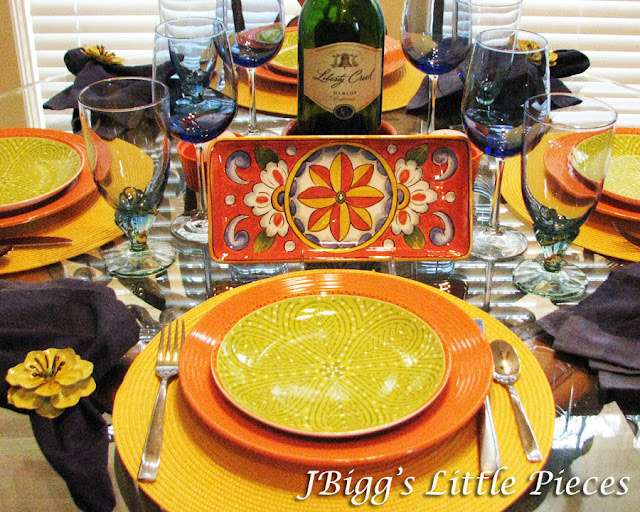 Judy at J Biggs put together a bright and pretty tablescape for her fish and chip dinner her husband cooked. It's nice when you have a hubby who likes to cook! We are all excited to see what you will link up this week!! For my creations I wanted to show you some new items I posted in my Etsy store at 12:00 a.m. lol...that's why the party is late! Anyway, I worked all day on customs and restocking my store. I will be working today too making more lantern swags, door pieces, and scarecrow tassels. Everything I am making will be in the fall tones. I added several fall toned frames to my store. Click HERE to visit my Etsy store and see more of my items. One more thing...three of the entries last week got over 600 clicks! And I thought 300 was a lot! Wow! Kristen, these are awesome features! I love all of your new creations! Thanks so much for hosting! Thank you, Kristen, for hosting this party. I am always inspired by your creativity & talents, & truly enjoy seeing how you've inspired others. 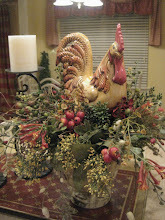 Beautiful creations from last week..truly enjoy your exquisite "creations"...thanks for hosting!! Just wanted you to know, I participate in a bunch of linky parties every week. I always get the most traffic from your parties. You've got some great party goers/followers here. Thank-you SO much for hosting. I know it takes a lot of time to host. enJOYing the participation. Thanks so much for hosting. It's fun to see fall features! Thanks for hosting girlie! Congrats on your magazine publication, it was so awesome to see you there. Thanks for featuring me, Kristen! What an honor!!! You have some amazing creations and I can't wait to see what you come up with next! They are so inspiring! Perfect features, Kristen! And, I always love seeing your amazing frames and florals! I appreciate your hosting! Hi Kristen. Oh, you are just amazing with your creations. I'm so late in coming to your party but I made it! Thought of you today, I started putting up my Fall decorations and your tassle was one, LOVE it !! !